I love to keep things simple when it comes to the holidays. When things get so busy, especially in the fall, I pull out some of my usual dinnerware and just add in some simple seasonal items to make things a bit more festive. I recently checked out our local At Home store in The Woodlands to find some new items to fill out my centerpiece for fall. I love real pumpkins, but I found these cement ones while perusing the aisles for such a steal. I love the warm white color — it matches my creamware dishes, perfectly. I’ve been eyeing this large hurricane with a wood base and decided it would make a perfect, simple centerpiece. 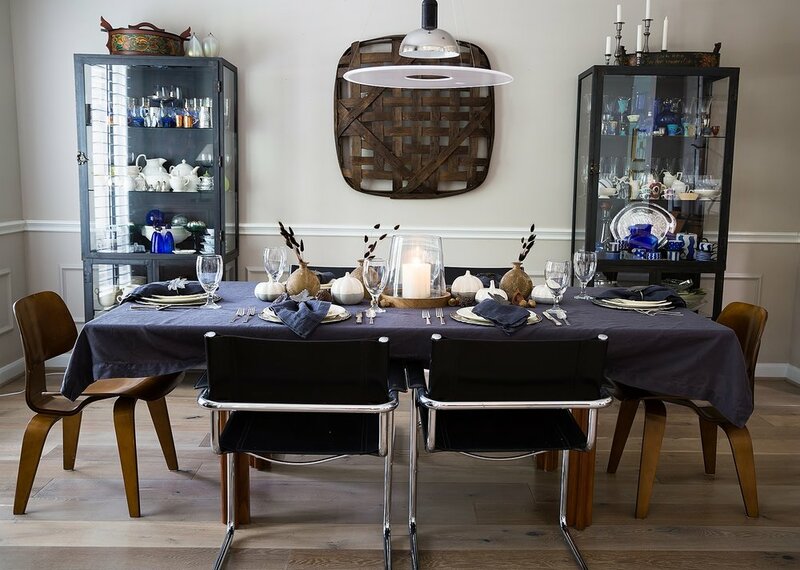 These rustic brown glass vases with some dark wheat stems finish this centerpiece off. They came with a trinket attached, which I promptly removed. No glitz here, just warm and rustic. Have you done any fall entertaining yet?